This may seem a complicated recipe, but it really isn’t. And it’s worth the time investment, the taste of the soup and chicken married to the aromas of the garnishes in the dish is wonderful. Unless serving a large meal to friends and family (a traditional meal in Vietnam), there will be leftovers of both soup and chicken. These can be used for future meals, either more Pho Ga or as a basis for Com Ga (Vietnamese Chicken Rice). In addition, this can all be prepared on a Sunday and then assembled during the working week for a quick, nutritious meal. Microwave the ginger and unpeeled onion for 90 seconds. Allow to cool, then peel and quarter the onion. Slice the ginger into large chunks. Add water, sugar and salt to the stock pot. Stir gently and begin to heat. 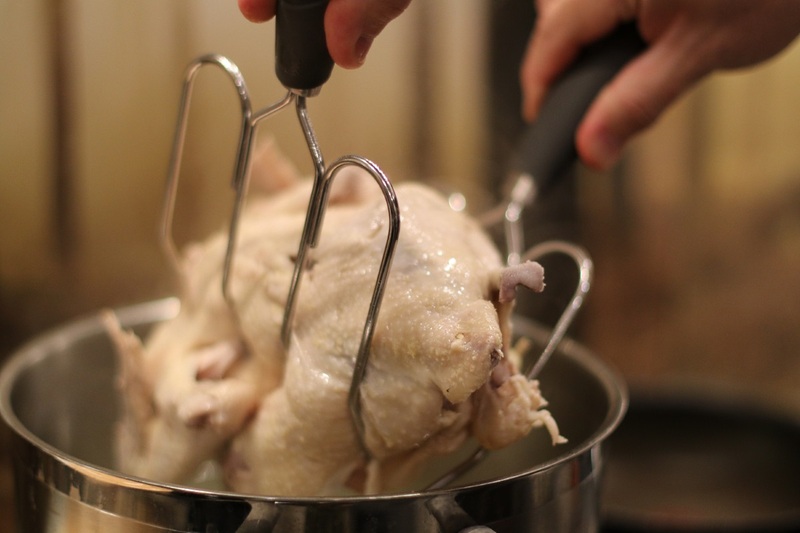 Wash and clean the chicken under a warm running tap. Add the washed chicken, onion and ginger to the stock pot. Bring to the boil, then reduce to a very low heat to simmer. 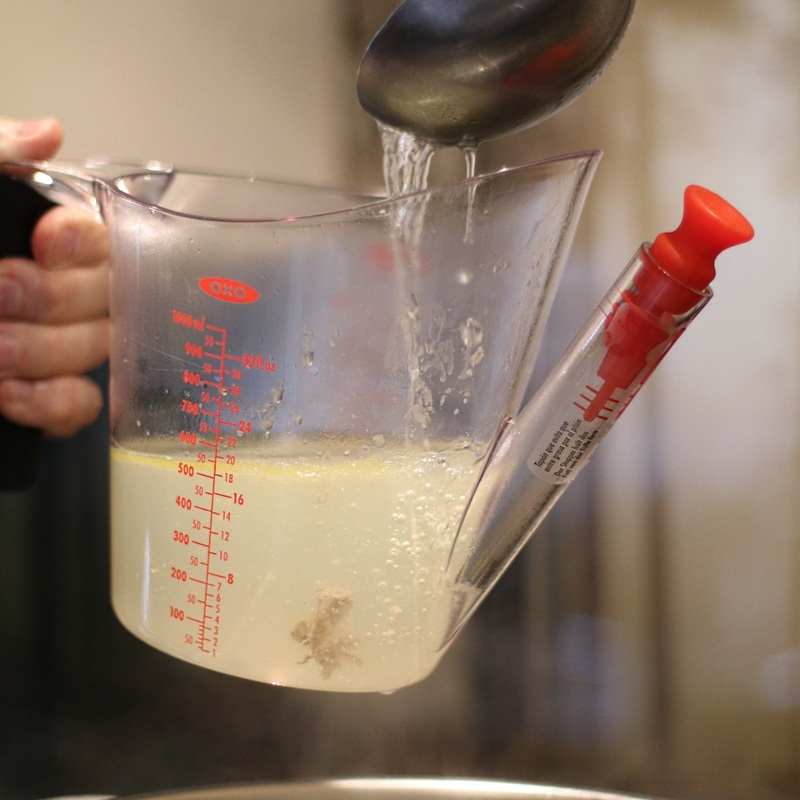 Remove any scum that has built up on surface using either a ladle or a fat separator. Simmer for 30 minutes. Repeat above step 2 more times. In this time, prepare the condiments ready for meal later. Take the stock pot off heat and perform a final scum removal. Remove the chicken from the broth, and shred it with a couple of forks. Set aside. 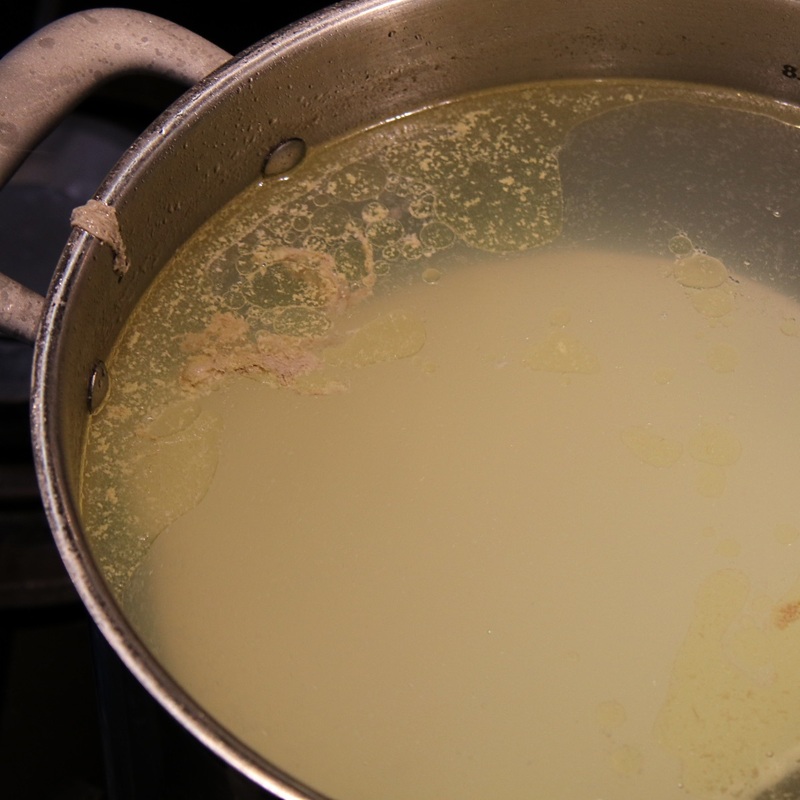 Remove and discard any remaining solids from the stock pot. Pour 3 litres of the soup into a large, clean saucepan. Add the noodles, bring the stock to the boil and simmer for 3-5 until noodles are ready. Whilst the soup is simmering, stir fry chopped shallots in groundnut oil. Sprinkle sugar onto shallots, add in fish sauce (if desired), sesame oil and light soy sauce. Remove the noodles from the saucepan and distribute into bowls. Add the fried shallots and then shredded chicken to the bowls on top of noodles. Lastly, pour over the broth. A fat separator is very useful for removing scum as it minimises the amount of soup lost. The scum floats to the surface of the separator and the good soup can be added back into the stockpot. Prepare the condiments whilst the chicken is cooking. This will take some time, allow at least 20 minutes to get everything chopped, sliced and diced. Meat lifters make it easy to remove the chicken from the stock pan. For true Vietnamese pho ga, leave out the soy and fish sauces and sesame oil when frying the shallots. Instead, have them as dipping sauces served alongside the meal. A lime gives more juice when rolled on a surface with the palm of the hand before cutting. There will be plenty of stock and chicken left over. 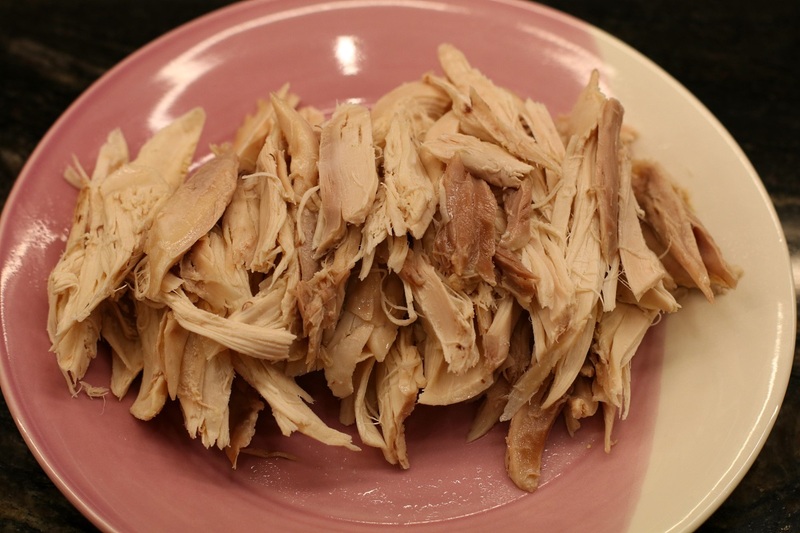 When cooled, put the remaining stock into sealable 1 litre containers and the chicken into a similar container. What you can also do is put all of the prepared soup, chicken and condiments into separate, sealed containers for meals later in the week. I sometimes do this on a Sunday for breakfast and lunch in the week. To assemble the dish from previously prepared ingredients, simply follow the steps above, heating some chicken along with the noodles in the soup. The chicken can also be eaten by itself as a snack during the day. The leftover chicken and soup can also be used to make Com Ga (Vietnamese Chicken Rice), the recipe for this will be coming soon. In the summer heat of July 2015, whilst sitting in a cafe in Saigon for breakfast with friends, it struck me that my Vietnamese companions ate as much as I did but looked slim and healthy. 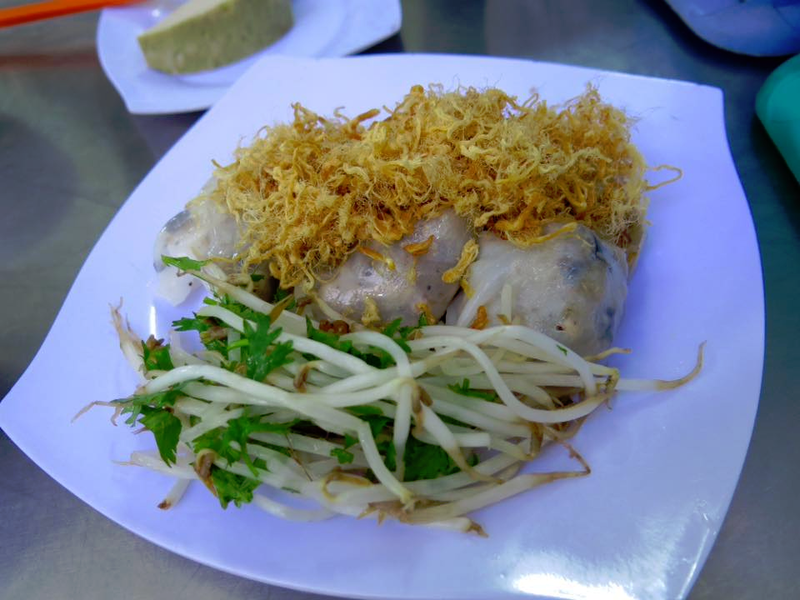 After pondering this over some lovely banh cuon (pictured below), my conclusion was that this was mostly down to having healthy, protein-based meals early in the day, combined with a reasonable exercise routine. Upon returning home, and over a 3 month period, I ate pho ga for breakfast most days during the week as part of a weight loss programme that realised a drop in weight of 3 stone (19kg) and become healthy and fit again. It wasn’t a magic bullet though … I was exercising (weight training or running) in the morning four to five days a week and then having pho ga for breakfast afterwards. I believe that the combination of the exercise followed by high protein breakfast, as well as snacking on small bites of chicken during the day, was key to the weight loss. The only downside was that after 3 months none of my clothes fitted me anymore, so I had to buy an entire new wardrobe. Which was something my wife said I should have done years ago. It allows you to separate the scum that forms during cooking from the soup. Hope you make this and enjoy it, if you do let us know how it turned out please. I don’t see some Vietnamese traditional ingredients for Pho in your recipe. Does it give the same taste with one in Saigon? You’re right Toan, there are a couple of ingredients missing for full authentic Pho Ga. In addition, I have simplified the recipe somewhat so it can be cooked in a single evening, traditional pho ga can take several hours to cook. The aim here is to introduce readers to this wonderful dish using ingredients that are readily available in local supermarkets. Also fish sauce is an acquired taste, hence suggesting that people start with a few drops and build up the volume. Yes, I see the point and it surprises me that you can make the same taste with limited resources. I suggest that you should put the pictures of each herb so that people can easily recognize them in the market. I myself do not know the names of some very common herbs that I eat everyday. Thanks for this recipe, I shall try it at the weekend. Having already lost 1 stone in weight, this looks like a healthy, tasty way of carrying on! It really is, well done so far and good luck with continuing the goals you’ve already achieved. Very efficiently written article. 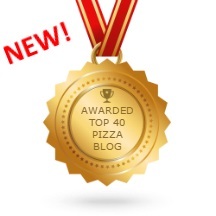 It will be valuable to anybody who utilizes it, including yours truly :). Glad you enjoyed reading it and I hope your pho ga tastes good. Good to hear Rosey! I’ll be publishing a recipe for Com Ga, a chicken rice dish, in the near future.